← To the garden for dinner! R and I like to take a big stack of books outside to a shady spot and read, and read, and read. All that reading calls for a good tea. Tea with kids in the afternoon can be tricky with all that caffeine. Look no further than hibiscus iced tea. 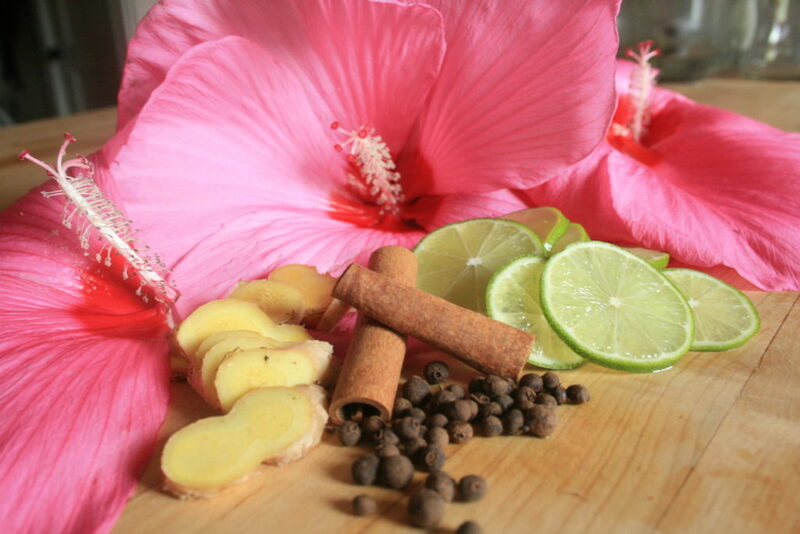 With the addition of some ginger, lime and spices, this isn’t just your ordinary hibiscus tea. In our version, we like to use fresh flowers. 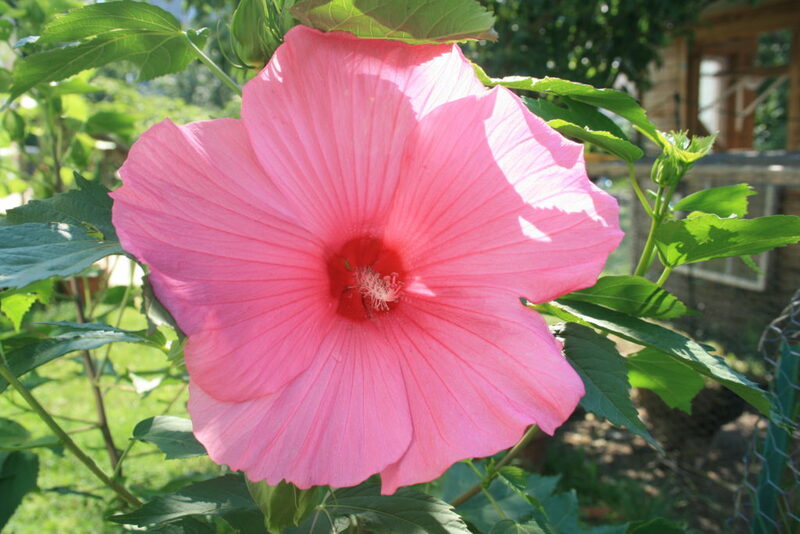 Allow me to introduce you to my thriving hibiscus bush! Yes, here in Minneapolis, zone 4a, we have a hibiscus bush that is doing so well it is outgrowing the spot I put it in a few years ago. These hot-pink dinner-plate-sized flowers are making us feel like we live in the tropics! Of course, Minnesota is a long way from there, but thanks to this version of hardy hibiscus, I can pretend for the two months a year that we have hot temperatures. This plant has been incredibly simple to grow. I picked the tiny start up on a whim at a plant sale several years ago. I didn’t have a home for it as we were just digging up the lawn at that time, so I threw it down somewhere that I figured would be out of the way. I did not know anything about flowers then, and I don’t think I even added compost to its new compacted, sandy home. It has been forgiving, though, and here we are now with the huge bush shooting out incredible clusters of up to seven flowers! At the time that I bought this plant, the only thing I knew about hibiscus was that you can make tea from it. I knew this because it is a popular choice for a non-caffeinated iced tea at coffee shops. Ironically, I never liked any of the hibiscus iced tea I had tried. I found it to be too sweet, or it reminded me too much of kool-aid, that food-dye laden, artificially flavored beverage that makes me cringe. 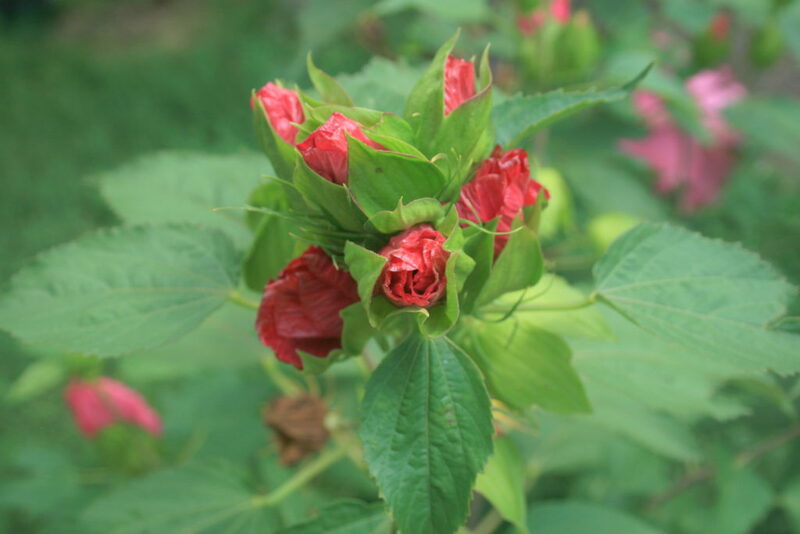 I took my dislike of hibiscus tea as a challenge when I came across this plant, though. Now I am happy to report that I have found a winning combination for delicious hibiscus iced tea. Of course, for me, what sold me on this version of hibiscus tea was the addition of ginger and lime. I find that they give the beverage just the right amount of refreshing zing. The cinnamon and all-spice add a deeper, earthy taste that allows me to drink a whole glass of this without the faintest memory of kool-aid lingering! 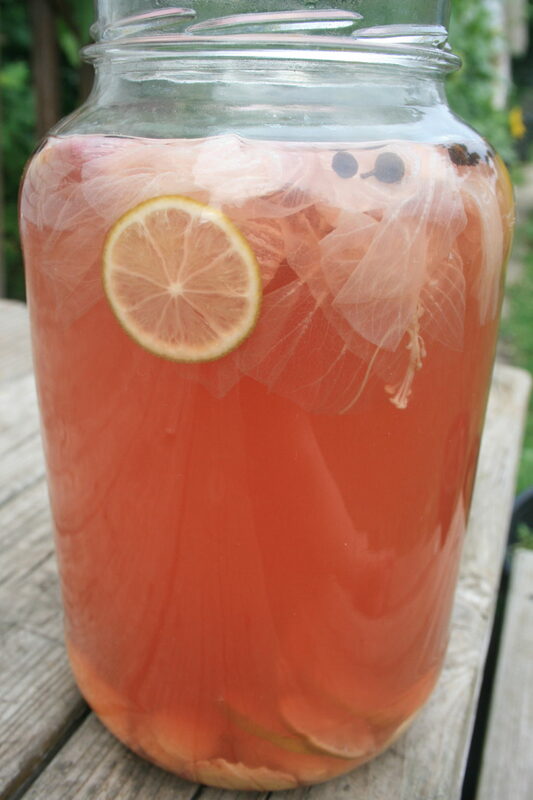 You can use boiling water to make your tea, or put it all in the jar and let the hot summer sun do the work. Add your honey and only some of your 1/2 gallon of water to your jar. Give that some good stirs to dissolve the honey well. Warm water will allow the honey to dissolve easier. Add the remaining ingredients to the jar, top with the remaining water, and allow the tea to steep. After a day in the sun, or once your boiling water has cooled, strain all the ingredients out and store your tea in the fridge. 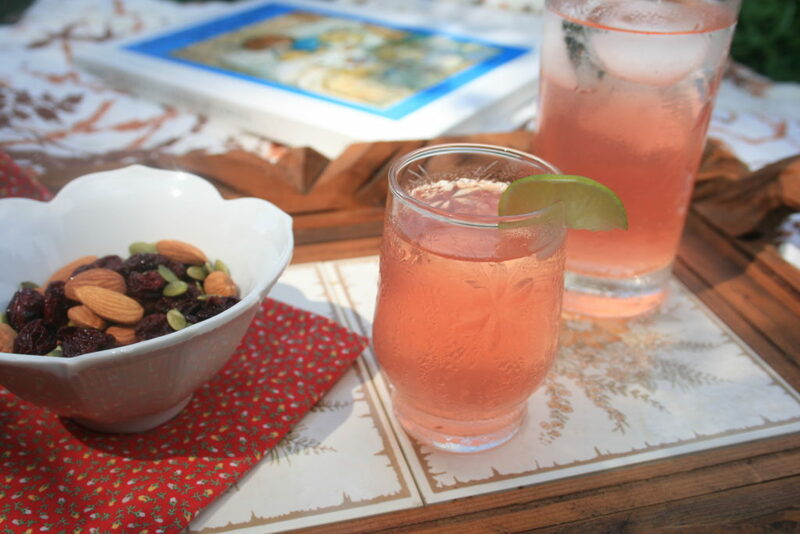 Serve over ice with the addition of a lime wedge.